FREE Admission the 3rd Friday of every month! Free Museum access is vital to families who cannot afford admission prices to Imagine. For those families who need a safe, inspiring place to spend quality time together, Imagine Children’s Museum is proud to open its doors one evening each month to give them this special time that all families deserve! 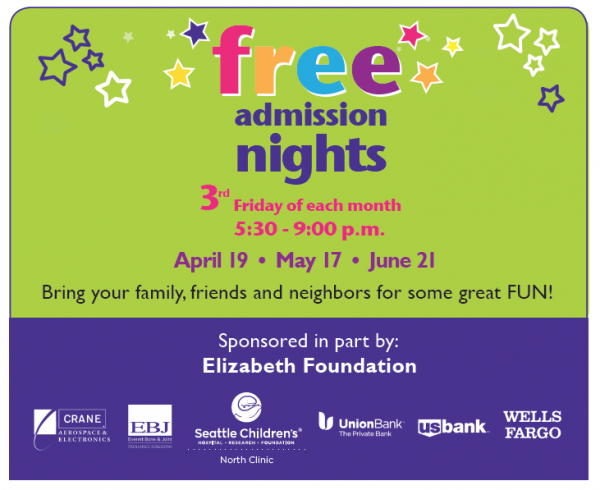 Free Admission Night serves approximately 10,000 annually. For information on how you can support the Free Admission Night program, contact giving@imaginecm.org.